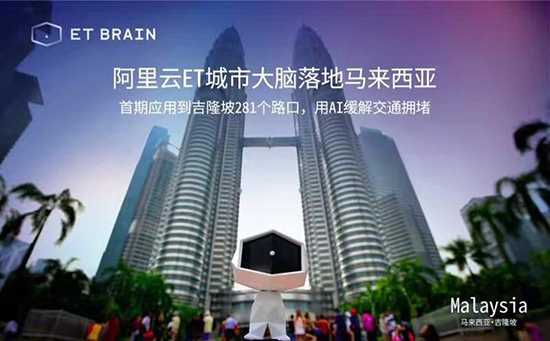 On Jan. 29, Chinese tech giant Alibaba’s artificial intelligence (AI) platform “City Brain” has been officially introduced to Kuala Lumpur, Malaysia, to improve traffic regulation, municipal planning, and environmental protection. It will be the first time for the city to apply AI technology to urban governance. In the first phase, the AI platform will help 281 crossroads in Kuala Lumpur to ease traffic pressure through smart signal control, accident detection, and priority for emergency vehicles. It is another major move of Alibaba in Southeast Asia after the company launched its cloud platform in Malaysia three months ago. 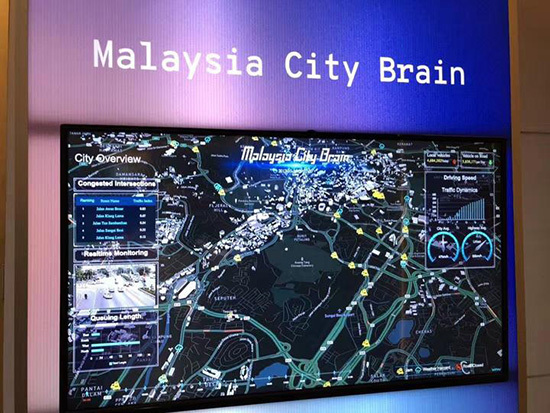 The CEO of Malaysia Digital Economy Corporation (MDEC) Dato’ Yasmin Mahmood said that the City Brain will not only do real-time analysis and automatically allocate public resources, but also encourage local application of AI technology. According to Hu Xiaoming, president of Alibaba Cloud Computing, 2018 marks the fourth year of the company’s global services, and also the second year of the launching of the Electronic World Trade Platform (eWTP) in Malaysia. With successful industrial application, China’s AI technology will provide services for more cities in the future after Kuala Lumpur, he noted. 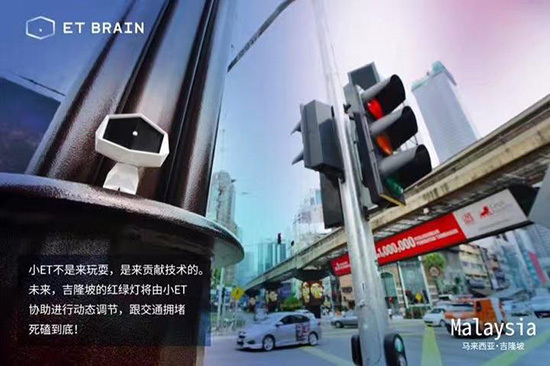 In China, the City Brain has been launched in seven cities, increasing traffic efficiency by 15%. China’s white paper on its Arctic policy issued on Jan. 26 will enhance trust between China and international community and promote global Arctic governance, said People’s Daily Overseas Edition in a report on Monday. 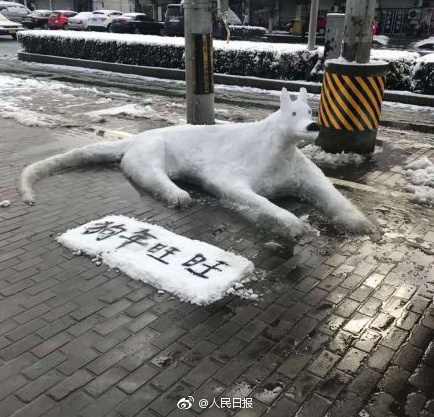 In addition, the white paper, with an aim of Arctic protection, is also a rebuke to the “China threat” theory, said the article. 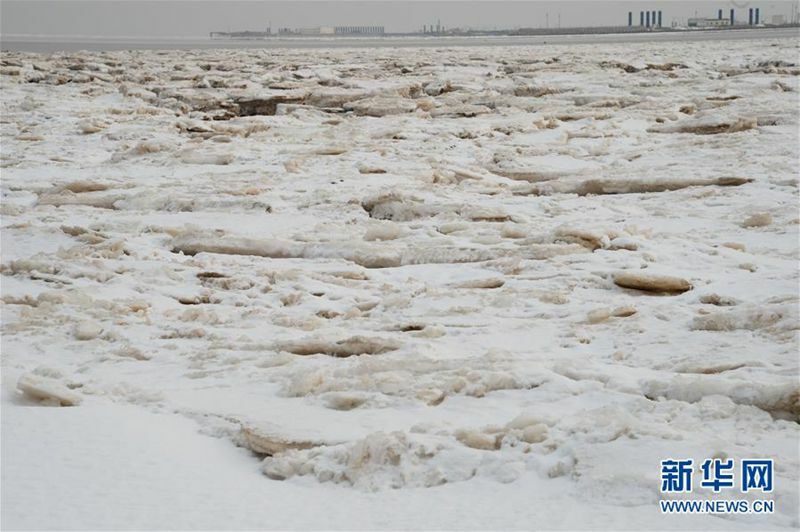 With China’s expanding participation in Arctic affairs, the world is paying more attention to the country’s Arctic policy, said Zhang Xia, director of the Research Division on Polar Strategy of the Polar Research Institute of China. The white paper for the first time illustrated China’s policy for the North Pole, which will enhance trust, deepen consensus, and promote cooperation, Zhang added. 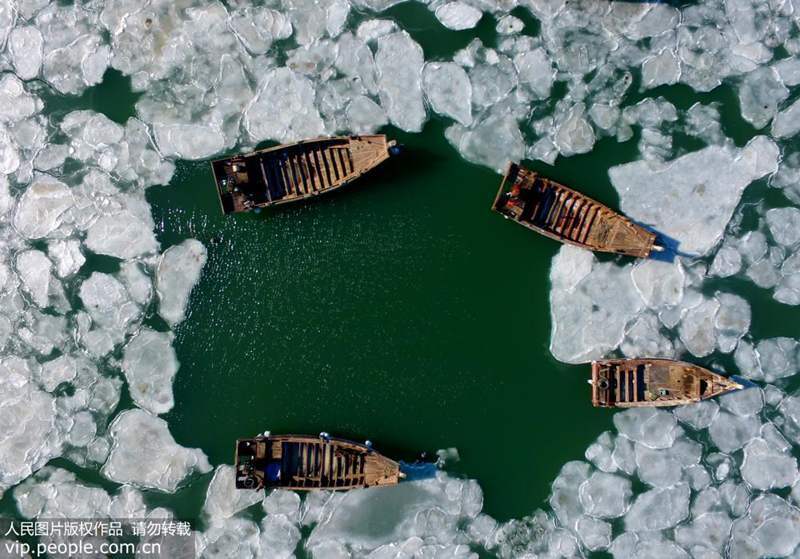 “China is a latecomer among non-Arctic countries to issue related policy,” said Zhang, adding that Japan, South Korea, India, Germany, France, and the UK have all rolled out Arctic policies. According to him, China’s white paper is a response to the global expectation. 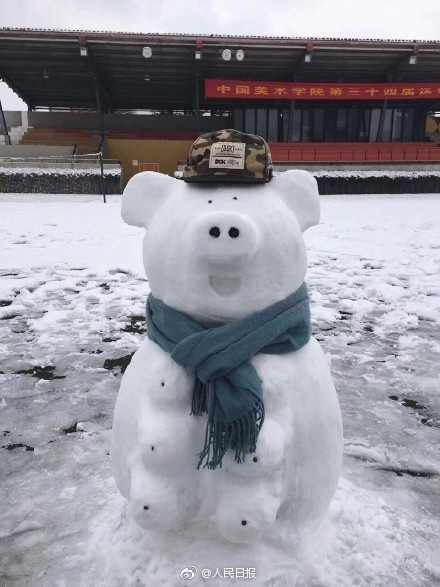 It is also of great significance to guide China’s Arctic activities and cooperation, as well as to improve public awareness on Arctic affairs. 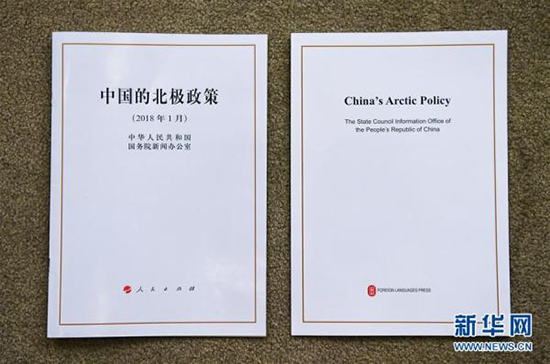 Zhao Long, an associate researcher at the Shanghai Institute for International Studies, noted that the white paper reflects Chinese ideas and wisdom, hoping to incorporate Chinese plans into the Arctic governance mechanism. 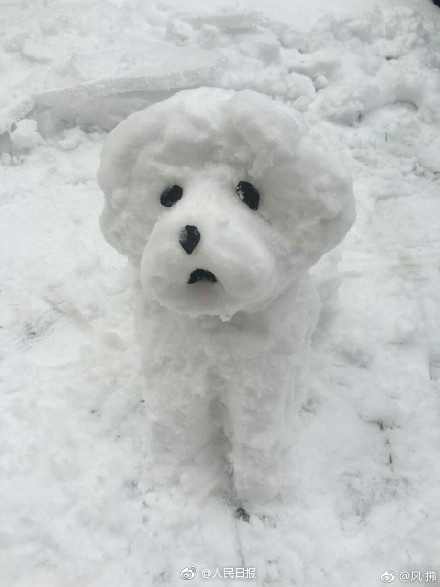 Though China is not an Arctic country, it is an important party involved in Arctic affairs, said Zhao. The North Pole is also facing trans-regional and global challenges that require global participation. 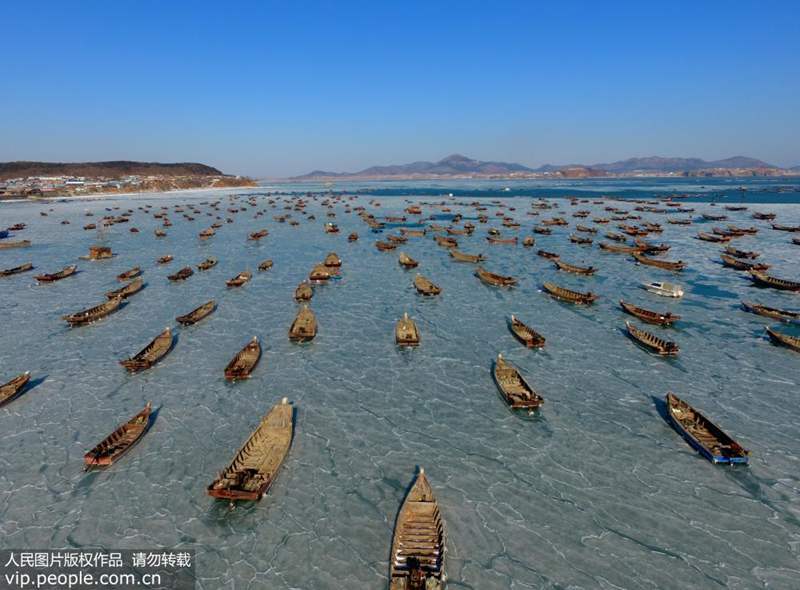 Climate change and waterway development are two solid examples, said the expert. 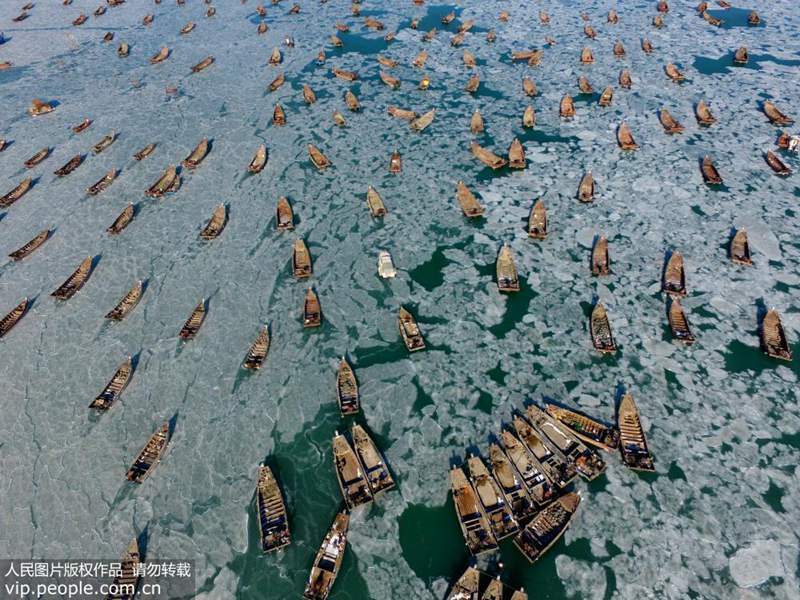 China respects the sovereignty, sovereign rights, and the right of jurisdiction of Arctic countries, he added. Zhang said that the white paper is proof against “China threat” theory. He believes that China does not infringe upon the interests of Arctic countries, but offers them new sustainable development opportunities. Premier Tour has been offered since the opening of Shanghai Disney Resort, said Shanghai Disneyland on Monday, in response to the heated online debate over its controversial VIP services. The theme park was put under fire on Chinese social media recently because of its “line-free” service that allows people to pay for the privilege of jumping to the front of lines at its attractions. It can be seen from the official mobile application of Shanghai Disneyland that the park offers two kinds of Premier Tours: one charging 2,700 yuan ($426) per person for a three-hour tour, and the other charging 3,000 yuan per person for a six-hour tour. Customers can enjoy anytime access to their favorite attractions with the service. According to Shanghai Disneyland, the Disney destinations around the world offer various products and services, enabling the customers to arrange schedules at their conveniences, and the Premier Tour is just one of them. 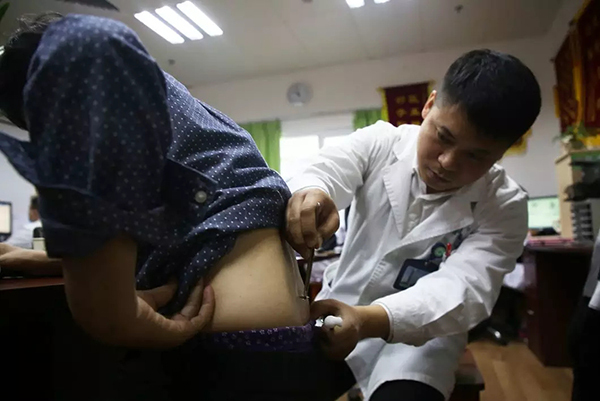 A traditional Chinese medicine doctor has cured more than 1,000 patients suffering from rheumatism, arthritis, and other diseases over the past three years by using bee hives. 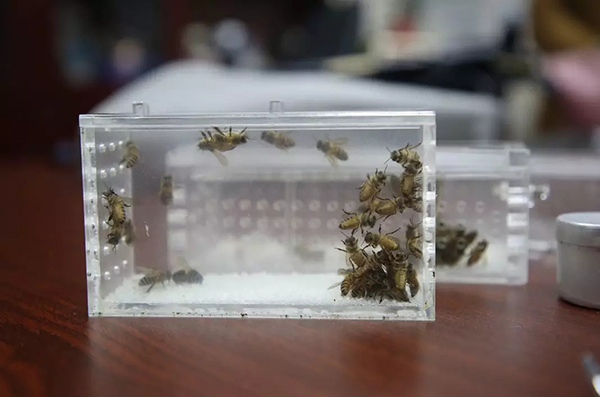 The therapy uses Chinese honey bees to sting human acupuncture points and lets the bee poison fight with the poison inside the patient’s body until the latter is mitigated or eliminated. The whole curing process takes only five to 10 minutes. She Ruitao is the only doctor doing this at Shenzhen Traditional Chinese Medicine Hospital in southern China. The hospital didn’t introduce the therapy until three years ago. At first, it was hard thing for She to find bees. He had thought about buying bees from bee keepers, but gave up on the idea due to long transportation distances. Now he raises a hive of bees on a hill next to a botanical garden. The honey bees can survive between four and six weeks in summer and two and three months in winter. Leaving the hive, they live shorter. She has to calculate how many bees can suffice for a day’s treatment before going work. And each day, he will catch at least 100 bees to take to the hospital. After three years of practice, he can now catch more than 100 bees in about 20 minutes. Soon he will own a piece of land to raise more bees at the hospital courtyard, which will make his work more convenient. His patients said the bee therapy makes them feel less pain and they gradually reduce the use of medications after receiving the therapy. However, the bees can’t survive long after stinging a patient. When they die, She will bury them under a tree at the hospital. 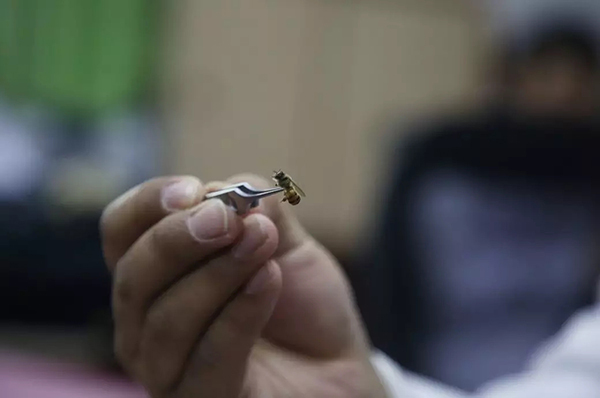 The doctor said he will publicize the bee therapy and make it a widely used method to cure autoimmune diseases such as rheumatoid arthritis. Considering China’s aim to drive innovation and the UK’s leading place in sectors including advanced automotive engineering and financial services, these areas are likely to be most attractive to Chinese investors, said Alistair Michie, chairman of the International Board of the China Centre for Globalization, a Beijing-based Chinese independent think tank. “The UK is the most open nation in the world for accepting Chinese investment, but the levels of investment might be much higher if the people of the UK had a better understanding of China,” Michie told the Global Times in an email on Monday. For example, Chinese telecoms company Huawei Technologies Co and automaker Zhejiang Geely Holding Group have been engaged in the UK market for a long period. Huawei, which entered the UK market in 2001, now has more than 1,500 local employees in the country and has established joint innovation centers with both BT and Vodafone. The company has also set up research and development offices in Cambridge, Bristol, and Ipswich. Geely acquired automotive engineering firm London EV Co in February 2013 and bought a 51 percent stake in British sports car maker Lotus Group in September 2017. As of March 2017, Geely has invested a total of 300 million pounds ($423.69 million) in the construction of new factories in Coventry and a cutting-edge technology research and development (R&D) center in the UK. “The importance the UK has attached to new-energy vehicles provides a sound foundation for the development of the sector, which together with the country’s advantages in R&D and talent, gives us confidence to cultivate the UK market,” Geely told the Global Times on Friday. The UK has become China’s second-largest investment destination within the EU, Minister Counselor Jin Xu of the Chinese Embassy in the UK said at a conference in London on January 23. 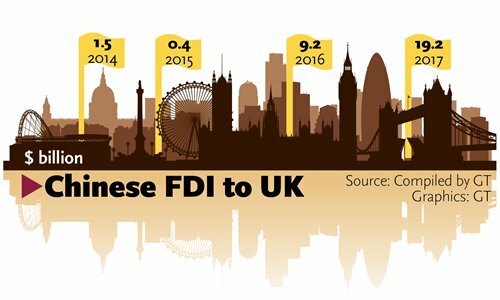 China’s non-financial direct investment into the UK totaled $1.53 billion in 2017, with accumulated investment of $19.14 billion by the end of last year, according to the Xinhua News Agency. “Compared with Germany and the US, which hold a cautious attitude toward Chinese firms’ investment due to their concerns over competition and national security, the UK poses less challenges for Chinese companies,” said Chen Fengying, an expert at the China Institutes of Contemporary International Relations. 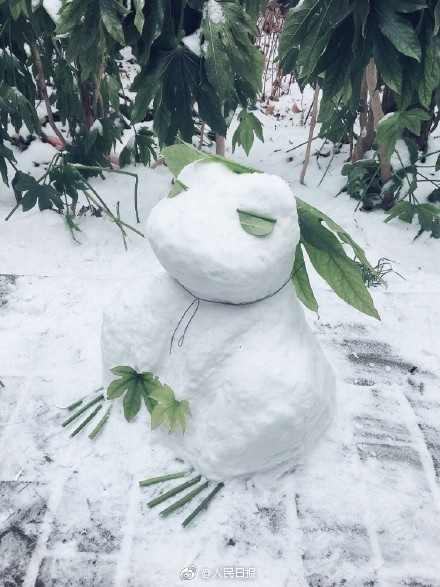 “Financial services is a strong sector in the UK, while its manufacturing industry is not as good as we imagine,” Chen told the Global Times on Tuesday, adding that the industrial structures of China and the UK are complementary. British Prime Minister Theresa May is due to visit to China from Wednesday to Friday, and Chen believes that bilateral economic and trade ties will be further strengthened, based partly on the potential of the Belt and Road (B&R) initiative. China’s further opening-up measures “will also serve as cooperation linkage between China and the UK,” Chen noted. In his speech at the World Economic Forum in Davos, Liu He, director of the General Office of the Central Leading Group for Financial and Economic Affairs, said that China will further open up its financial markets, as well as enhancing intellectual property protection and easing investment restrictions for foreign firms in the manufacturing and services sectors. 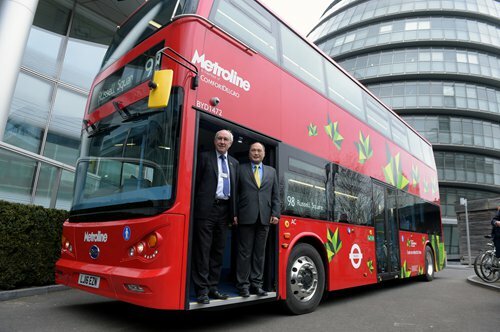 The bilateral cooperation on the China-backed B&R initiative will be a highlight of May’s trip, experts said. May will support the B&R initiative in ways that may surprise the Chinese leadership, Michie noted. “Both sides have significant interest in the success of the [B&R] project: London, as the world’s leading financial and service skills centre, can provide crucial components of the B&R and deliver huge mutual benefits,” Michie said. President Xi Jinping spoke of a “golden era” in China-UK relations during his state visit to the UK in 2015. “Prime Minister May and her delegation must recognize this clear signal given by the Chinese leadership to the UK – and not to any other nation – and develop the golden era into permanent trade arrangements,” Michie said. 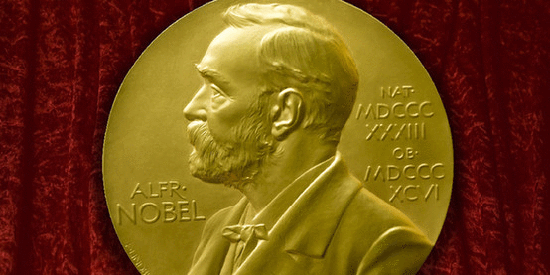 One in four Chinese Americans become “Nobel Prize for high school seniors” finalists, why? This year, at least 12 Chinese Americans were among the 40 finalists of the Regeneron Science Talent Search (Regeneron STS), the oldest and most prestigious science and math competition for high school seniors in the U.S., Xinhua reported. Eleven Chinese Americans were among the 40 finalists last year. Dubbed the “Nobel Prize for high school seniors,” the science-themed competition has attracted a lot of attention among parents and students from the Chinese community in the US. Chen’s discovery will help kill antibiotic-resistant bacteria without using antibiotics, which will be very useful in the US, a country seriously affected by antibiotic-resistant bacteria. The outstanding performance of the Chinese American students is closely related to their talent, but more to their hard work and altitude toward learning. Researchers said young Asian Americans are always taught that diligence matters more than talent by their parents. Parental education also matters. Asian American parents usually spend the most time supervising their children’s homework. According to British media reports, Chinese education is regarded as “superior” to Western education. 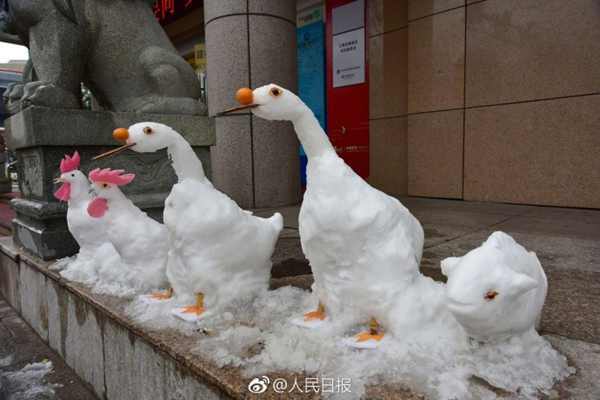 For many middle-class parents in the West, the superiority of Chinese education has become a myth, which makes them afraid that their children may become less competitive than their Chinese counterparts. China’s offline retail is embracing new opportunities as e-commerce is presenting innovative consumption experiences for the country, said People’s Daily in a Monday report. According to recent statistics released by China’s Ministry of Commerce (MOFCOM), the sales of 2,700 key typical retail enterprises rose by 4.6% year on year in 2017, 3 percentage points higher than that of last year over the same period. Convenience stores are a miniature that shows signs of the recovery of the retail industry. The overall business index of China’s convenience stores was 71.28 in the fourth quarter of 2017, 2.03 higher than that in the third quarter, said a report issued by the MOFCOM. 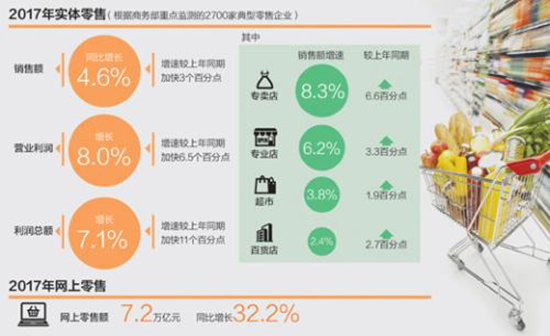 The statistics of different businesses of typical retail enterprises showed that in 2017, the sales of specialty stores, pro-stores, supermarkets, and department stores increased by 8.3%, 6.2%, 3.8%, and 2.4%, respectively, 6.6, 3.3, 1.9, and 2.7 percentage points higher respectively than those of the first half of this year over the same period of time. Online and offline retail have always been considered rivals to each other. Some people even attributed the previous fall of market share of the real economy to the diversion of e-commerce. “Online and offline competition is not a ‘win and die’ situation, and ‘survival of the fittest’ is the only market law,” said Li Keaobo, Executive Secretary General of Center for China in the World Economy under Tsinghua University. After timely adjustment, offline retail still has the opportunity to win the market share because of its unique advantages in meeting consumers’ demand. The narrowing gap between online and offline prices is the primary reason for the recovery of offline business. “Now the prices offered at online platforms and department stores are almost the same,” said a consumer named Cai Wei, adding that he prefers the latter since it features more credibility. “China’s online and offline retail are experiencing integration and common development,” noted Ren Guoqiang, senior partner of the global strategy consulting firm Roland Berger. More Chinese retail enterprises have realized that innovation, enhanced operating capability, and the upgrading of consumer experiences are the only way of development, he said. “But we still have to further improve the business environment for retail industry,” said Li. According to him, the online-offline integration calls for a fair and orderly competition environment. Currently, online retail sales account for 15% of the total retail revenue in China, and a well-built monitoring system would better guide the direction for its future development. 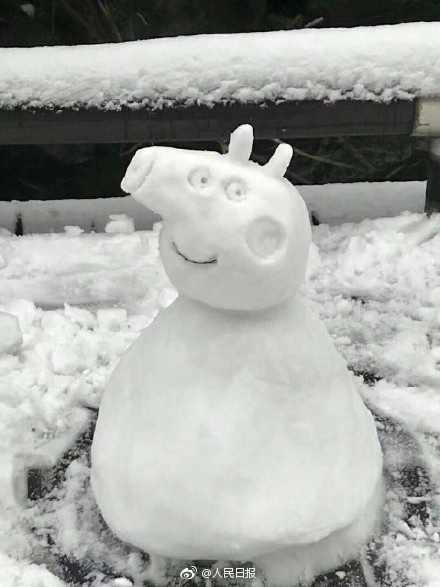 A recent snow that hit almost half of China has turned people into “artists” who created snowmen in various shapes including dogs, pigs, and frogs. UK Prime Minister Theresa May’s upcoming official visit to China is set to yield substantial results, including a slew of business deals, and to further strengthen the bilateral economic and trade ties between the two countries, Chinese officials and experts said. Experts also dismissed recent media reports that May’s trip has been overshadowed by unease in the UK about Chinese overseas investment and the prime minister’s reluctance to endorse the China-backed Belt and Road (B&R) initiative. May is due to arrive in Beijing on Wednesday for her first official visit to China, which will include stops in Shanghai and Wuhan, capital of Central China’s Hubei Province. She will also have meetings with top Chinese officials as well as business leaders from both countries, according to media reports. “The UK prime minister’s visit to China will strengthen China-UK economic and trade cooperation and political mutual trust,” Hua Chunying, spokesperson for the Chinese Foreign Ministry, said on Monday. 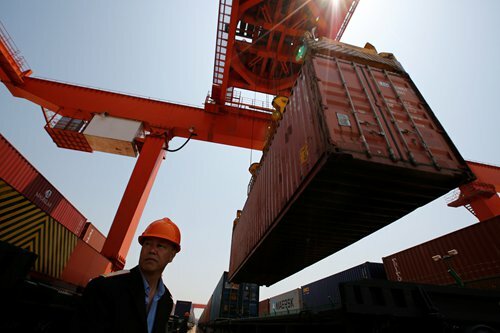 Bai Ming, a research fellow at the Chinese Academy of International Trade and Economic Cooperation, said the trip would see a number of business deals signed, as well as setting up talks for future cooperation under the B&R initiative. 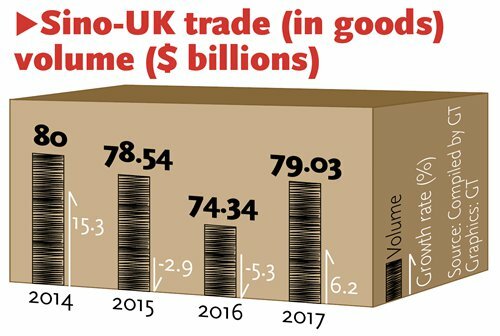 “Economic and trade cooperation will dominate the trip, as the UK is seeking a more independent role in global trade after it voted to break away from the EU, and China is looking to boost cooperation around the globe,” Bai told the Global Times on Monday, adding that cooperation under the B&R will attract a lot of attention. Chinese and UK officials have already been working on business deals ahead of May’s visit, according to media reports. May is bringing more than 40 companies and universities and trade associations with her for the trip, and as many as 100 partnerships, alliances and other deals could be signed, Sky News reported on Friday. During a trip to China in mid-December 2017, UK Chancellor Philip Hammond said that the UK was seeking closer cooperation with China under the B&R. “I was privileged earlier this year to represent the UK at the first Belt and Road forum and one of the things we will discuss is the opportunity for closer collaboration in delivering the ambitions of the Belt and Road program,” Hammond said at the time, according to Reuters. Chinese Ambassador to the UK Liu Xiaoming also said that cooperation under the B&R initiative would be one of the highlights of May’s trip to China, China Radio International reported on Friday. However, some media reports suggested that the trip might not be as smooth as officials have claimed. Commercial deals and a “golden era” in bilateral ties “have been thrown into jeopardy” by some UK officials’ suspicion over China’s investment in the UK and May’s reluctance to offer formal support for the B&R, the Financial Times reported on Saturday, citing unnamed UK government officials. Downing Street declined to comment on Prime Minister May’s reluctance to support the B&R initiative. The initiative was formally supported last year by about 30 countries, including Russia, Italy, Greece and Hungary, according to the Financial Times. But these claims are “preposterous,” Jiang Yong, a research fellow at the China Institutes of Contemporary International Relations, told the Global Times. “To say such a high-level visit, the terms of which are usually set before it is announced, and such an important bilateral relationship could be jeopardized by the lack of verbal support from a UK prime minister is completely ridiculous,” Jiang said on Monday. Jiang said that neither the Chinese government nor the B&R need words of support – concrete agreements and cooperation for mutual benefits are more important, and China and the UK are already cooperating under the B&R. Liu, the Chinese Ambassador to the UK, pointed out that the UK government has set up advisory bodies and appointed special envoys to help UK businesses better understand and engage in the B&R initiative.